Pop singer Beyonce is reportedly showing interest in becoming part of an ownership group to bid on her hometown Houston Rockets following a decision by team owner Leslie Alexander to sell the NBA franchise. On Tuesday, Scott Soshnick of Bloomberg reported Beyonce could be an asset to interested parties by adding "superstar sizzle to any ownership group, likely helping the team with local and international marketing." Last month, Alexander confirmed his intention to end his tenure as owner of the organization, which began in July 1993. "It's been my great joy and honor to own the Houston Rockets for the past 24 years. ... I'll always have a special place in my heart for the fans, partners, city officials and employees who care so deeply for this team. I've made this decision after much deliberation with my family and friends, and do so knowing the franchise is in great shape with the players, coaches and management team in place. CEO Tad Brown will oversee the sales process with the league office, supported by my management team." 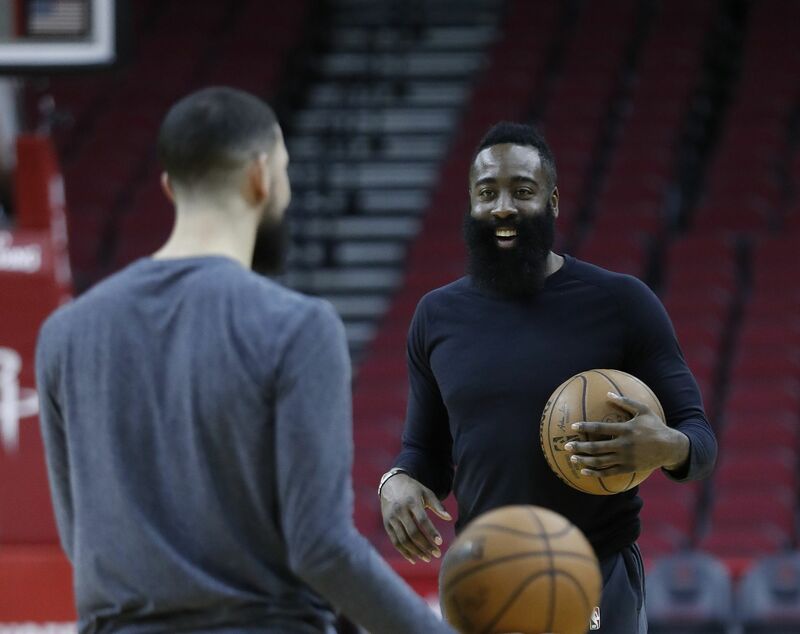 Patrick Rishe of Forbes estimated the Rockets could sell for $2 billion thanks to their offseason transactions, which included a long-term contract extension for MVP candidate James Harden and a trade with the Los Angeles Clippers to acquire point guard Chris Paul. "Leslie Alexander is now 73 years old," Rishe wrote. "He purchased the team in 1993 for $85 million, won 2 NBA titles in his first 2 seasons of ownership, and the franchise is currently valued by Forbes at $1.65 billion…more than 18 times the value of the initial purchase. Job well done, Leslie." Beyonce is one of the most well-known celebrities in the world, but her net worth falls short of allowing her to buy the Rockets alone. Celebrity Net Worth projects her overall assets at $450 million, while TheRichest is a bit more conservative at $350 million. Another factor is her husband Jay-Z's agency, Roc Nation Sports. He was forced to sell his share in the Brooklyn Nets after becoming a certified agent to represent players, but there's been nothing to suggest his wife would be ineligible to become a team stakeholder. Beyonce was born and raised in Houston. She rose to fame as part of Destiny's Child before experiencing mega success as an individual pop act. She's also a prominent philanthropist, having been named the most charitable celebrity of 2016 by DoSomething.org.